2. 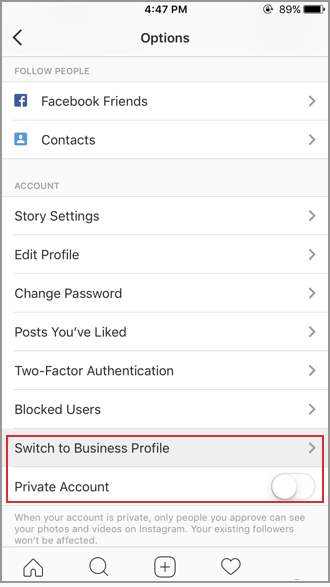 Tap Switch to Business Profile and select the Facebook Page you’d like to associate with your Business Profile on Instagram with. Make sure your profile is set to Public. 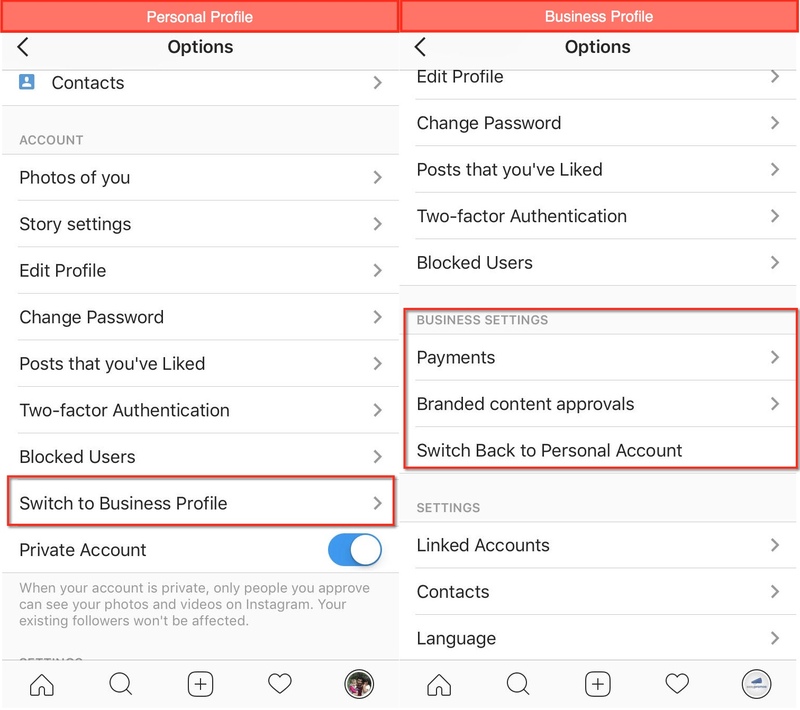 Private accounts can’t switch to Business Accounts. 3. On the Set Up Your Business Profile page, review your business’s contact information, make any changes and tap Done. Instagram Business Accounts are connected to a Facebook page. This allows using the Facebook API to manage the posts and comments on a business profile on Instagram. Once you’ve linked a Facebook Page to your Business Profile, you’ll only be able to share your Instagram posts to Facebook through that Page. You won’t be able to share with another Facebook Page or to a Facebook profile. 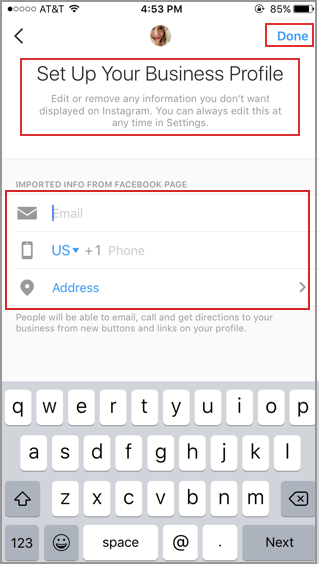 If you’d like to switch the Facebook Page you’re able to share Instagram posts too, you’ll need to convert back to a personal account. Once you’ve converted back, you’ll then need to set up your Business Profile again and select the new Facebook Page you’d like to use. Business Profiles can’t be set to a Private Account.